Dealer in antiquarian and used books since 1982—at the same location! Open shop in summer, weekends in the fall and by appointment. Please call ahead. A founding member of the League of New Hampshire Craftsmen, the Sandwich Home Industries has been supporting artisans, promoting fine craft, and providing arts and crafts education in the community for over 90 years. 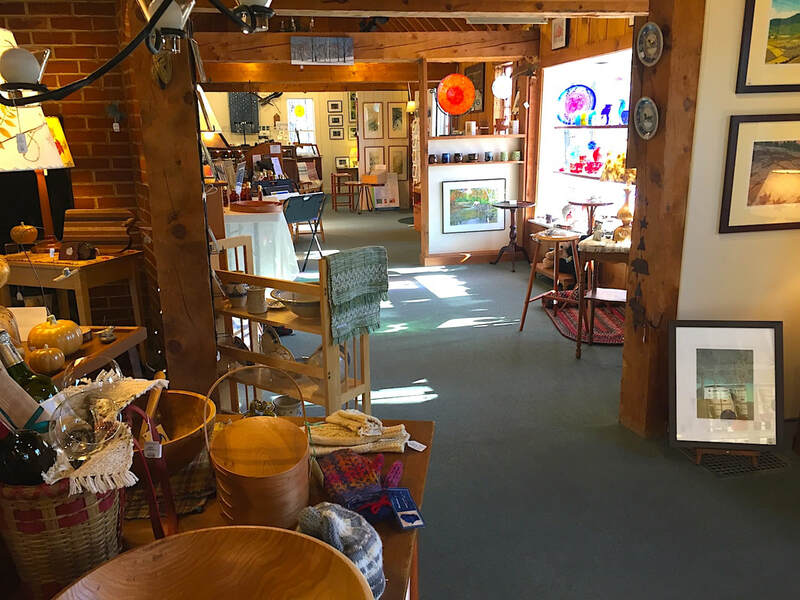 Growing and expanding through the years, the Center Sandwich League of NH Craftsmen Gallery, as the Industries shop is known today, is still open seasonally from mid-May to mid-October. The gallery is housed in the historic post and beam structure in the center of town built expressly for the Sandwich Home Industries in 1935. The Sandwich League of NH Craftsmen gallery offers a wide variety of art classes and workshops for children and adults, plus an artist lecture series and craft demonstrations. Shoppers looking for unique gifts and special one-of-a-kind handcrafted items will find a great selection of quality traditional and contemporary crafts made by juried artists from the League of NH Craftsmen. Gift registry available. Open mid-May to mid-Oct, Mon - Sat. 10 – 5, Sun 12 – 5. Patricia Ladd Carega Gallery exhibits work in all media by both established and emerging artists. Works on paper, sculpture, painting, monotypes, objects and installations are on exhibit. Artists are regional, national and international. The gallery endeavors to exhibit a refreshing, dynamic and energetic collection of contemporary art. The work is shown in a barn dating back to 1825. The barn's ample space provides an excellent venue to view art. Visitors to the gallery not only remark on the originality of the work exhibited, but also the gallery's airy space and the views of the Ossipee Mountains. Gallery hours are 10-5 Monday through Saturday and 12 -5 on Sunday, from Memorial Day through mid-October. Art consulting is available year round, and work, though not on exhibit during winter, is also available year round. Surroundings specializes in original fine art produced by extremely talented locally connected artists. You will see works in a variety of mediums (oil, watercolor, pastels, acrylics). Most of the subject matter is landscape oriented in a representational style. We also have folk art (barrel staves, sap buckets, and other items) and stained glass panels. In addition, we have original children’s book illustrations from renowned author/illustrators David McPhail and Karel Hayes. 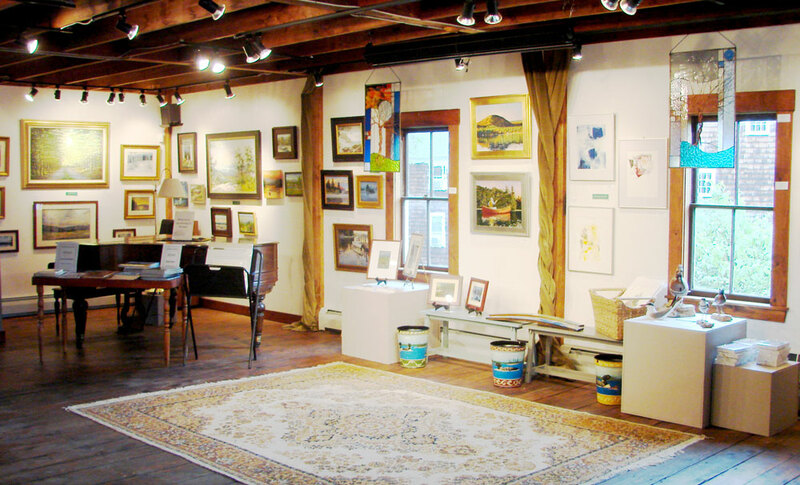 The gallery is located at 12 Main Street in Center Sandwich during the summer and fall months. A second gallery is located in the Melcher & Prescott building at 954 Whittier Highway in Moultonboro (just down the road). Paintings are also hung in several dining rooms at the Corner House Inn. Check our website for hours at each location. Let us know your desires and we will do our best to find the right piece for you. We can set up commissioned work with many of the artists if you are looking for something special. We would love to hear from you, so please email or call us with your ideas and comments. 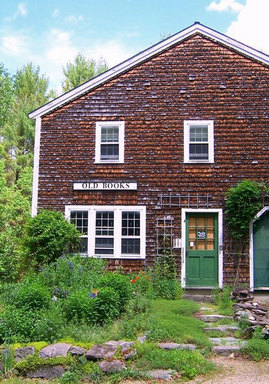 A unique village shop featuring antique and vintage furniture, curiosities, handmade soaps and botanicals, one-of-a-kind jewelry and more. Open June thru October, holiday events and year-round appointments. For info, call Jane at 387-6989. Wed – Sat, 11 – 4, Sun 12 – 4.